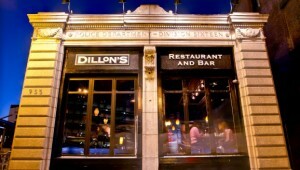 Boston International would like to invite you to the kickoff of our Boston Young Professionals Mixer series to be held this Wednesday, April 16th from 6-8PM and Dillon’s Restaurant and Bar. This will serve a great opportunity for BI members to meet in a more casual and social setting in addition to our usual monthly speaker’s events. We have a section reserved for the group; just ask as you walk in. Click here to RSVP so that we can get a sense of headcount.We look forward to meeting you!